Use this solution to coat base molds to ensure complete separation of embedding paraffin from the mold. The working solution is prepared by adding 5 ml of Concentrate to 95 ml of ethyl alcohol or isopropyl alcohol. Molds are dipped in solution and dried prior to use. These pencils are made from soft lead, which is ideal for marking plastic cassettes. 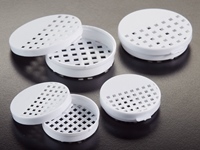 Plastic Cryomold®, round shapes with a tab for easy handling. Available in standard and biopsy configurations. The standard mold measures 22 mm (D) x 5 mm deep. The Biopsy mold measures 15 mm (D) x 5 mm deep. 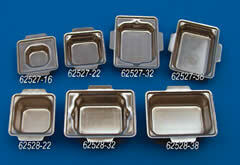 Machined from solid aluminum with an embossed surface for holding frozen embedding blocks. 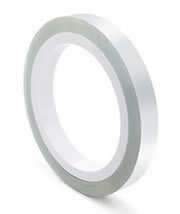 Measures: 26 mm top diameter (without 'O' ring), 28.55 mm diameter with 'O' ring, 23 mm body diameter, 16 mm height. 62310-03 is no longer available. Please see 62320-01. Molded from the highest quality plastic, our Embedding Rings fit most base molds. For added convenience, there are four colors from which to choose (Blue, Pink, Green, Yellow). The large writing surface further eases identification and handling. The base measures 1⅝" x 1⅛" and the ring measures 1" x 1" (25 x 25 mm). Our Disposable Base Mold is designed to fit all existing cassettes. Because our base molds are disposable you save time on cleaning and storing and they offer you less exposure to hazardous chemicals. Tissue Microarray (TMA) is a technique that enables tissues from multiple donor blocks to be arrayed on a single slide. T-Sue™ array molds are specifically designed to be simple, easy to use and inexpensive. The tissues can be analyzed in consistent conditions enhancing the efficiency of the research. The T-Sue™ Microarray molds allow you to perform TMAs more quickly with excellent results. By using array molds, you can process up to 170 specimens onto one single slide in very little time. We offer 7 different patterns to fit your needs. To facilitate orientation, one inside wall corner is at a 45° angle. Made of silicone, these molds can withstand temperatures between -100°C to +250°C and be reused hundreds of times without losing their flexibility. These precast T-Sue™ Microarray paraffin blocks give you an easy, convenient, and low cost method for constructing paraffin tissue microarrays. No special training or experience is needed. Construct a tissue array block in minutes by simply punching the donor tissue cores and inserting them into the pre-made paraffin recipient block. The blocks are made of paraffin and the cassettes are made of acetal. The cassette is permanently bonded to the block and has consistent core diameters. It is ready to accept cores from the donor block. 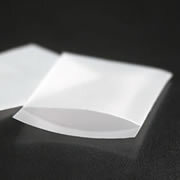 Paraffin tissue microarrays (TMAs) are becoming more common in the laboratories. Current techniques including organizing, punching, and inserting tissues is time consuming and involving costly equipments. This Arraymold is the simple tool but great answer for this current technique for laboratories to perform TMAs with less time consuming, excellent results. With this Arraymold, you can process up to 150 specimens onto one single slide with very little time consuming, minimal technical training. This mold generates 2 mm diameter sample core, 60 cores per mold. This mold generates 1.5 mm diameter sample core, 150 cores per mold. This mold generates 4 mm diameter sample core, 15 cores per mold. This mold generates 2 mm diameter sample core, 36 cores per mold. This mold generates 1.5 mm diameter sample core, 72 cores per mold. This mold generates 3 mm diameter sample core, 35 cores per mold. 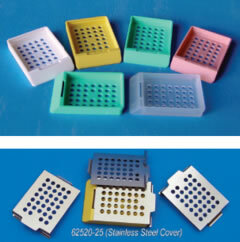 This mold generates 3.5 mm diameter sample core, 24 cores per mold. This mold generates 1 mm diameter sample core, 100 cores per mold. To save money, you can order Arraymold Package Kit. This package includes two or three Arraymold kits listed above. Made from stainless steel and has a positive clip-on cover. It is ideal for processing micro specimens. It can be used as a holder for paraffin sections while removing paraffin wax. Available in medium and fine mesh. It measures: 20 mm (dia.) x 5 mm (deep). EMS has introduced and is now available a variety of stainless steel baskets with lids and multiple compartments for critical point drying. These baskets are either 15 mm in diameter or 23 mm. Made from stainless steel and comes with a positive snap cap. They are expandable. When closed its dimensions are 40 mm(dia.) x 7 mm (deep) and can be expanded to 11 mm deep. Perforated top and bottom. Product 62316 no longer is available. Please see 62320. A secure positive snap-on cover. Perforated on the top and bottom for easy fluid circulation. Can be partitioned for up to 4 sections. The separator is not included. Molded from polyethylene; resistant to all processing chemicals, including Zenker's fixative. 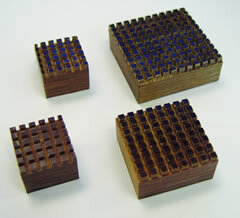 A three-compartment divider which is removable for specimens up to 35 mm. A weighted end floats the capsule in a upright position to conserve space. Perforated on the top and bottom for better circulation of the fluid. These one piece plastic capsules are hinged and perfectly aligned, offering convenience and ease of use. Both the top and the bottom of the capsule have an open mesh offering maximum fluid flow during processing. A frosted marking surface assures permanent identification. These capsules are commonly used with the Embedding Ring System. They are available in two sizes and five colors. To Use: Simply place the tissue in the capsule, close the cover to lock, and the sample is now ready for processing. Accurately machined chrome plated aluminum discs that fit most microtomes and cryostats. They have a knurled surface for better specimen handling. Straight shank. Available in a variety of disc sizes. With a clean blue wax surface, these discs can be used for processing, inspecting, & documenting tissue pathology. Blue wax is specially formulated to provide the proper consistency to allow pins to stick firmly and be easily removed. Simply layout, pin, & trim the tissue. These discs are available in three sizes: Small (2"), Medium (2¾") and Large (4"). All sizes are ¼" thick. Add a dissection tray with a wax base pinning surface for detailed dissections. The tray measures 9½" x 7" x 1". Made from nylon cloth, 0.2 mm mesh diameter. All seams are heat-sealed. Allows for unrestricted fluid movement around the tissue. Reduces the loss of small biopsy specimens. 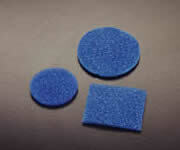 Reduces cross contamination and pressure artifacts by using sponges. 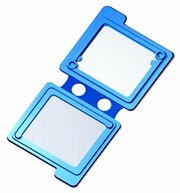 These disposable plastic biopsy inserts have an integral nylon mesh and two hinged interlocking frames. With the extra fine mesh, you are ensured superior specimen security. The CellSafe is a disposable plastic biopsy insert consisting of two hinged interlocking frames with an integral nylon mesh. The mesh is extra fine and therefore ensures a high level of specimen security. The mesh area: 18 mm x 18 mm x 2 mm high. A two-part loose fitting stainless steel capsule with welded mesh that fits inside the processing cassettes preventing the loss of small or friable material while allowing interchange of fluids. They fit all process/embedding cassettes such as 70025 and 72025 as well as Uni-Cassettes (62500). For plastic or paraffin embedding; no block trimming needed. Inside fingers hold ID slip which becomes embedded in the block for positive permanent identification. These two "L's" shape and stainless steel base plate form an adjustable embedding mold, suitable for embedding various size specimens with a minimum of waste material. Available in 5 different sizes. 24 mm x 70 meters per roll, which can coverslip up to 1,400 slides. With the same clarity as glass, 0.13 mm thickness, 1" (25.4 mm) wide, 70m long. The tape is loaded on the spoon 140 mm diameter core. 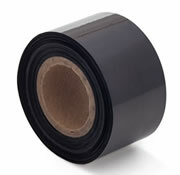 This roll of coverslip tape eliminates the need for manual cover-slipping and extended user contact with xylene. Fits most cover-slipper instruments. Precisely machined from hard phenolic resin. The faces of the embedding blocks are cut very deeply providing a firm hold of the embedded specimen. Suitable for cellodin or paraffin sections. The Aqua-Hold Pap Pen draws a liquid repellent barrier around a section of tissue. Used like a paint pen, you just draw a well on a slide. The barrier creates the proper surface tension to hold aqueous solutions such as costly antibody and other valuable specimens. After application, the barrier material is insoluble in alcohol and acetone but can be removed after staining with xylene. Each pen holds 13 ml of long-lasting material, making hundreds of wells. Red tint distinguishes the well drawing on the slide to easily view. 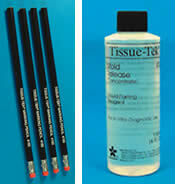 The EMS Tissue Capture Pen is a coating pen with a wide point (18 mm) for fixing various tissue sections (paraffin embedded, frozen and formalin sections, etc.) The unique pen is unaffected by heat up to 120°C so it offers secure and firm adhesion of the tissue section. It may be used in Microwave staining, immunostaining, in situ etc…. Please see the listing in Ultramicrotomy Supplies.